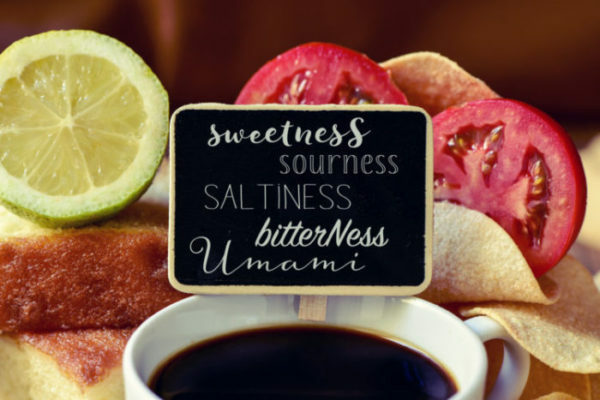 World-class chefs and home cooks alike use umami-rich ingredients, often including MSG (aka “umami seasoning”) in their cooking. 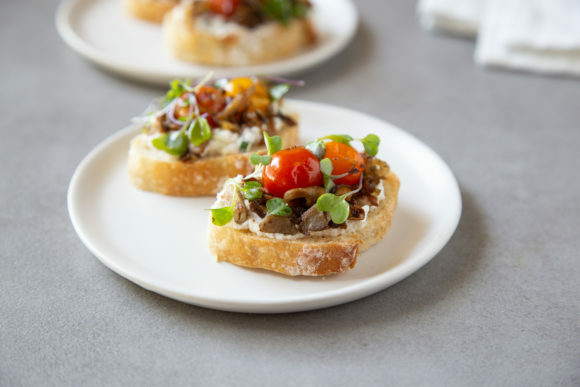 If you’re looking to delight your friends and family with the many benefits of umami, try some of the delicious savory recipes below. 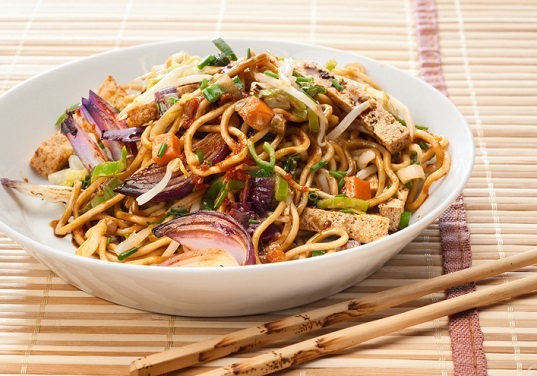 Also consider using MSG in your favorite dishes — because seasoning foods with MSG makes them taste better! And for the sodium-conscious, you’ll be surprised to know that MSG can lower the amount of sodium in a food (by up to 40%!) without making the food taste bland. Learn more about The Umami Connection. 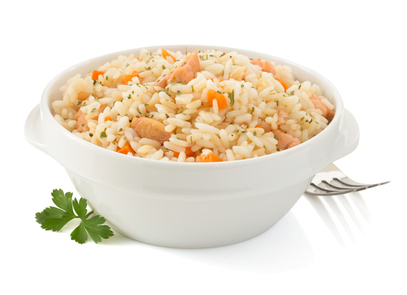 And if you’re using MSG in a recipe here are 8 Tips for Using MSG in Cooking. 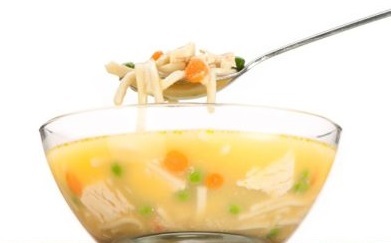 In a bowl, combine all vegetables and chicken; mix with the cream of chicken soup and seasonings. The mixture should be thick, but not too thick; if the mixture appears too thick, add very small amount milk to the mixture. Scoop the mixture into individual pie pans (pans are approximately 4” in diameter). Set aside. After laying out the pie crust on a clean surface, cut into 4-6 rounds that are large enough to top each pie. 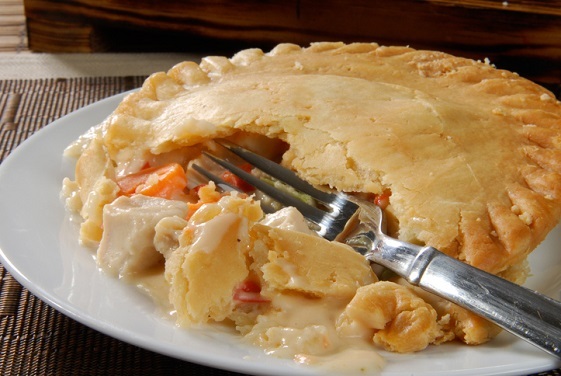 Place one piece of crust over the chicken mixture, crimp, then brush with melted butter. Bake in a 375 degrees F oven for 15 to 25 minutes or until pies are heated throughout and the crust is golden brown. This casserole has all the umami deliciousness of a great spaghetti dish, but without the heavy pasta. Preheat oven to 350 degrees. Wash spaghetti squash, prick a few times with a knife and wrap in foil. Bake for 45 minutes to an hour, or until shell softens. Slice onions and place into a medium baking pan. Toss with 1-2 tablespoons olive oil. Place in oven with squash and cook for 45 minutes, stirring every 15 minutes. Add sliced mushrooms for last 15 minutes of cooking time. Slice squash in half and remove seeds from center. Scrape squash into a bowl. Add roasted mushrooms and onions, seasoning and coconut milk. Beat eggs and add to squash mixture. Spray a casserole dish and pour in squash mixture. 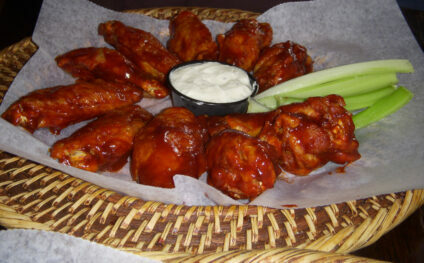 Top with cheddar cheese if desired. Raise oven temperature to 375 degrees and bake for 35 minutes, or until casserole is set. This rich, Japanese-style broth, flavored with vibrant fresh herbs, ginger, and garlic, peps up firm tofu and long strands of earthy buckwheat noodles. Bring a large saucepan of water to a boil and cook the soba noodles according to package instructions, or until al dente, about 6 minutes. Meanwhile, cut all of the mixed vegetables into bite-sized pieces. Add to the simmering pasta for the final 3-4 minutes of cooking. Drain the pasta and vegetables in a large colander. Place all remaining ingredients in the empty saucepan and return it to the heat. Heat until simmering, then reduce to low. Return the pasta and vegetables to the pan, and cook very briefly until they are reheated. Serve in deep soup bowls, with a spoon to drink the broth and a fork or chopsticks for picking up the solid ingredients. Recipe Variation: Replace the tofu with 8 ounces peeled, cooked shrimp or diced, cooked chicken or turkey (without the skin). Beef brings glutamate flavor and mushrooms add nucleotides. Heat oil and butter in a large heavy casserole or Dutch oven over medium heat. Add onions and garlic and cook, stirring, until the onions are soft and beginning to brown, 8 to 10 minutes. Stir in tomato paste, paprika and marjoram. Season beef with ½ teaspoon salt and plenty of pepper. Add the beef and cremini mushrooms to the pot; gently stir to combine. Add broth and cover the pot with a tight-fitting lid. Transfer the pot to the oven and bake until the beef is very tender, 1¾ to 2½ hours. Stir in shiitake mushrooms and continue baking, covered, for 15 minutes more. Remove from the oven, uncover and let stand, undisturbed, for about 15 minutes. Skim or blot any visible fat from the stew. Transfer the beef and mushrooms to a bowl with a slotted spoon. Return the pot to the stove and bring to a gentle simmer. Cook until the sauce just coats a spoon. Stir the beef, mushrooms and the remaining ½ teaspoon salt into the sauce and heat through, about 1 minute. Serve garnished with tarragon (or dill), if desired. 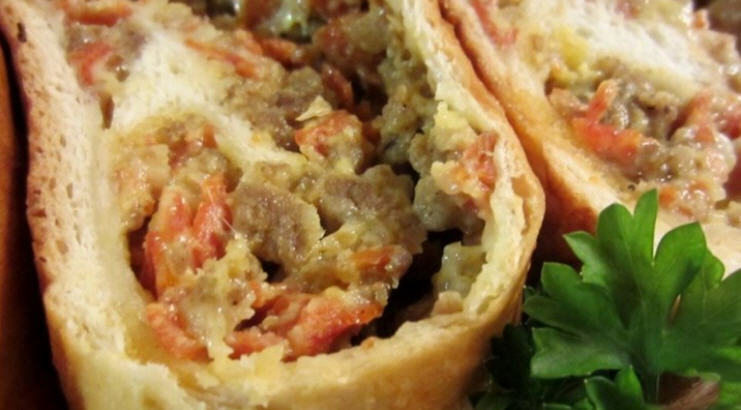 Make Ahead Tip: Prepare through Step 4; let cool to room temperature, cover and refrigerate for up to 3 days. Finish with Step 5 just before serving. This is not a last-minute meal; you need to start this one the night before. Rub the salt and umami seasoning into the salmon and leave overnight. Slide the ginger; cut into a leaf shape, make fine slits and place into the pickle bring overnight. 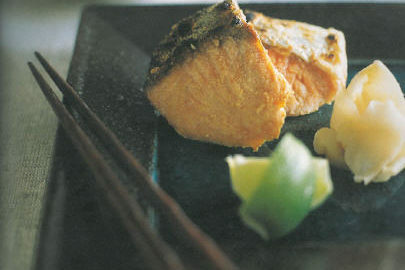 Rub the garlic powder into the salmon and grill, or stir-fry both sides. Serve with lemon and sliced ginger. 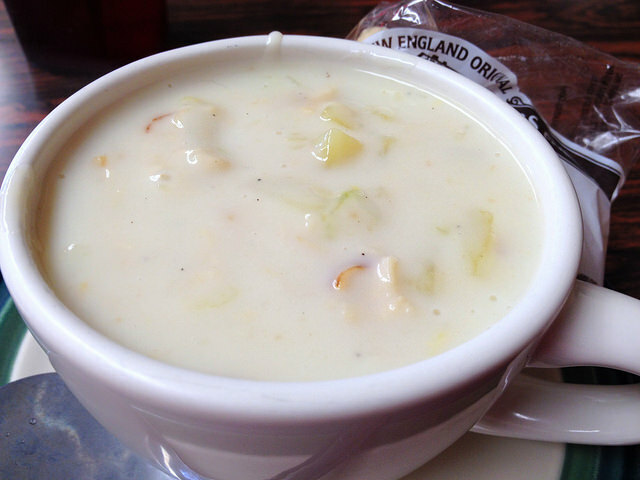 The closing of Spenger’s Fish Grotto Restaurant in Berkeley California after 128 years unleashed a wave of culinary nostalgia, especially for the legendary restaurant’s clam chowder. In a large pot, place clams and enough boiling water just to cover. Cook, covered, until clams open. Remove clams; reserve liquid. Remove meat from shells and finely chop. In a saute pan, gently saute bacon. Add onion; cook 5 minutes more. Add bacon and onion to the clam stock; bring to a boil. Add thyme, MSG, parsley, diced potatoes and chopped clams. Season with salt and pepper. Let simmer. In a small pot, melt butter. Blend in flour and stir into simmering stock. When stock coats a spoon and potatoes are fork-tender, stir in half-and-half and warm through. Do not let the mixture boil. Serve in deep soup bowls, with lots of sourdough bread. Note: For Manhattan style chowder, add 4 peeled, chopped tomatoes, 1/4 stalk chopped celery and 1 chopped green pepper at the same time you add the onions. Omit the half-and-half. Of course, we couldn’t leave this recipe for “Jewish penicillin” off our good-for-you soups list! Bring chicken, onion, and celery to a boil in a 4-quart Dutch oven. Add salt, pepper, onion and garlic powder. Cover and simmer until chicken is done. Remove chicken from broth; cool slightly and cut into 1-inch pieces. Add peas and carrot mix, potatoes and cornstarch. Cook until potatoes are fork tender, about 10 minutes. Add chicken and noodles to broth; sprinkle with MSG and sugar; cook about 5 minutes. 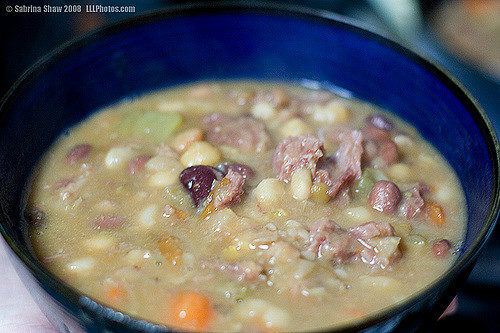 Ahhh, the classic ham and white bean soup – so hearty, comforting, and super easy in a slow-cooker! The crockpot does all the work for you. Combine the first 4 ingredients in a crock-pot and cook on HIGH for 3 hours. Add carrot and celery slices to the pot and continue to cook on HIGH another 2 hours. Add diced ham, salt and MSG; cook another 2 hours. Serve hot. Preheat oven to 350°F. Remove stems from mushroom caps; reserve caps. Discard stems. 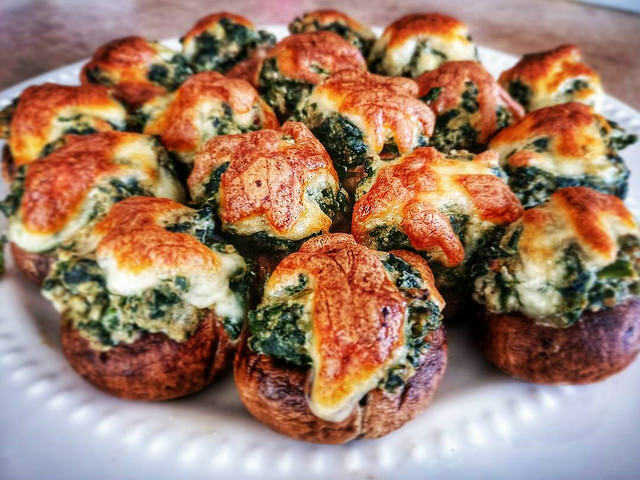 In large bowl, mix cream cheese, spinach, 1/2 cup of the Parmesan cheese, the salt, both peppers and MSG until well blended. In small bowl, mix remaining 1/2 cup Parmesan cheese, the bread crumbs and butter. Spoon filling into mushroom caps, mounding slightly. 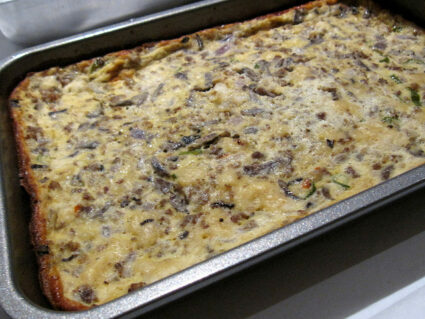 Place mushrooms in ungreased 17x12-inch half-sheet pan. Sprinkle bread crumb mixture over filled mushroom caps, pressing lightly. Bake 20 to 22 minutes or until thoroughly heated. Mushrooms, filling and topping can be prepared the day before, packaged separately and refrigerated. On the day of the party fill mushrooms, refrigerate, and then bake just before the party. In a large mixing bowl, mix together the cream cheese, sour cream, soy sauce, ginger, garlic, sugar and MSG until smooth and well-combined. Thoroughly fold in the crab meat and green onions to the cheese mix. Place the small bowl of cool water on your work surface. Place a wonton wrapper on your work surface. Place 1 to 2 teaspoons of the cheese and crab mix in the center of the wonton wrapper (the proper amount depends on the size you bought). Take your finger and dip it in to the water. 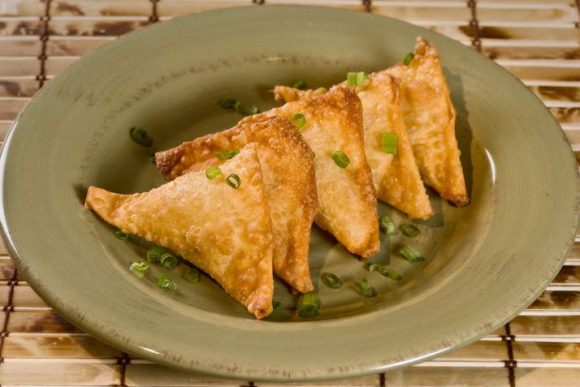 Run your finger on the outside edge of the wonton square. Then gently fold it over to form a triangle shape. Seal the edges firmly so they don't open during frying. You will find that as you seal one edge, the other may raise a bit, that's okay. Place each finished crab rangoon on a large sheet of wax or parchment paper. Cover with a kitchen towel to keep moist while you make the others. Place a pan suitable for deep frying over medium-high heat. Immediately pour the peanut oil to a depth of about 2". Heat to 350°F. Cook the crab rangoon in the hot oil (turning once) in small batches. They cook quickly. 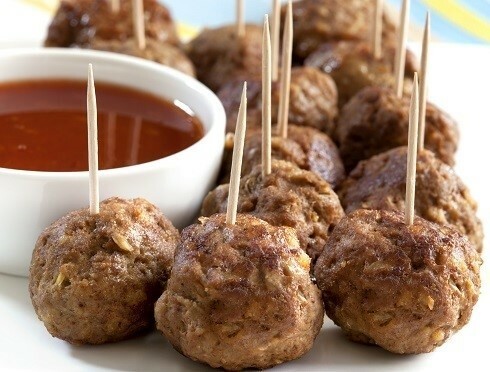 When finished frying, remove them with a spider or slotted spoon and drain on a rack or paper towels. 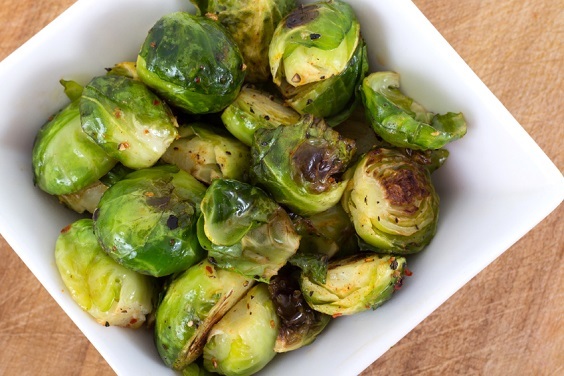 Cook them just a shade or two lighter than "golden brown." They seem to darken more a few moments after you remove them from the oil. You'll know if you fry them too long because the cheese and crab mixture will start to seep out from the seams. Prepare roll mix according to package directions, letting rise only once, about 1 hour. Preheat oven to 350 degrees F (175 degrees C). Line a large baking sheet with parchment paper. In a large skillet brown the pork sausage and pepperoni and drain well. In a large bowl, combine the cooked sausage mixture, parmesan cheese, mozzarella cheese, cheddar cheese, 2 beaten eggs, parsley flakes, garlic powder, MSG, onion flakes, and oregano. Stir until well combined. Divide the risen dough in two. On a floured board roll out one half to a rectangle about 1 inch thick. Spread 1/2 of the filling over the rectangle. Starting at the wide end roll two times then fold in the sides. Continue rolling until the end, making sure the seal is on top. Repeat with remaining half. Place rolls on the prepared baking sheet. Brush generously with beaten eggs. Use toothpicks to help hold the seam shut. Bake at 350 degrees F (175 degrees C) for 1 hour. The creator of this recipe is very knowledgeable about umami and the ingredients that pack an umami punch. See end note. Preheat oven to 400 degrees. Roast the peppers, let cool, peel, seed and cut into 1” pieces. While peppers are roasting, poach the garlic cloves in 1/2 cup of the olive oil. Keep it at a slow simmer until golden brown, about 10 to 15 minutes. Set aside to cool. Once cool, mash with a fork and set aside. In separate bowls, toss the squash, onion, mushrooms and tomatoes using the olive oil from the garlic poaching. In a large cast iron or non-stick skillet, grill the squash until it starts to caramelize. Then separately grill the onion, the mushrooms and finally the tomato. In a large bowl, mix together all the remaining ingredients except for the cheese. 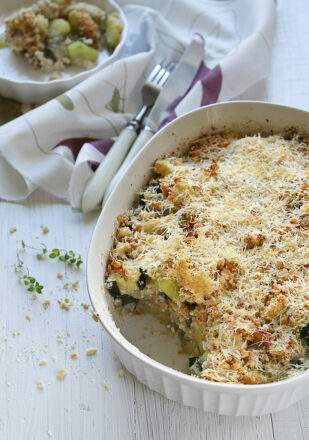 Transfer the mixture to 2 - 2 ½ quart gratin dish or baking dish. Sprinkle evenly with Parmesan. Bake until squash is completely tender, about 30 minutes. Print this out and impress everyone with your worldly cooking skills. Som Tum done right! Peel papaya. Cut flesh into a fine julienne. Discard seeds. Reserve. With a mortar and pestle, pound chilies and garlic together to form a chunky paste. Add peanuts, dried shrimp, tomatoes, and beans. Mix to incorporate. Add fish sauce, palm sugar, and lime juice. Add shredded papaya, fold it in. 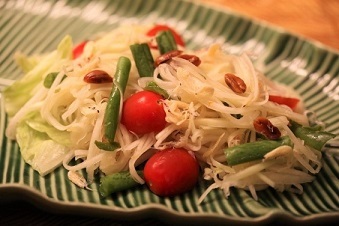 Put on a serving platter and garnish with red cabbage, fresh bean sprouts and long beans. Note: For vegetarian som tum, omit the dried shrimp and substitute soy sauce for fish sauce. This salad featuring shrimp is perfect for summer as a side dish or an entree! Shake all dressing ingredients together and combine with salad mixture. 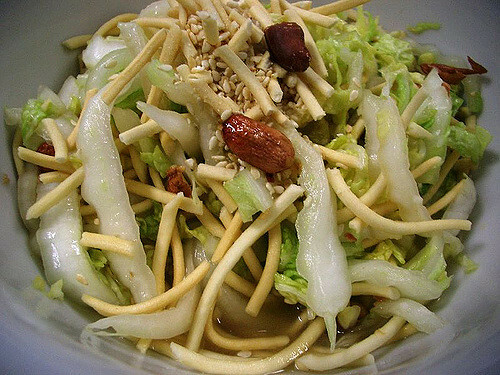 A refreshing light pasta salad with a delicious Asian flair. Boil the chicken breasts until cooked through. Cool and shred (do not chop). Combine with all the other ingredients and toss.